If you ever have the need to make two twin beds into a king these instant bridges do the job. 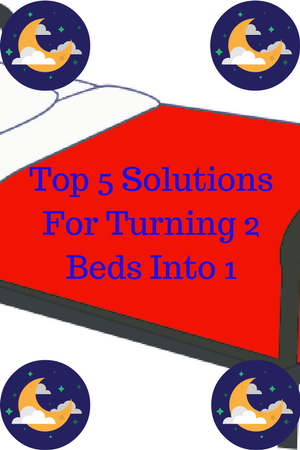 Simple cheap solution for turning two beds into one when the need arises. Hard to notice and comfortable to sleep on.